The whole pregnancy was problematic from the beginning. Beginning at about 12 weeks I had a pretty big bleeding episode, I thought for sure I was miscarrying, but an ultrasound instead showed that the placenta was completely covering the cervix (placenta previa), and that I had a blood clot between the placenta and the amniotic sac (subchorionic hematoma). The problem with placenta previa is that the placenta is essentially blocking the baby’s way out, so if it remains throughout the pregnancy, a C-section would be required. My doctor explained though, that since it was so early, that the chances of the placenta “moving” up and out of the way were pretty good, and that the clot could be reabsorbed and I could go on to have a normal pregnancy. Because I was still bleeding though, I was put on strict bedrest, which was not very much fun. Fortunately, I was allowed to stay at home, but…it was November, how the heck was I going to do my Christmas shopping!? I couldn’t leave the couch, let alone go to Target! Unfortunately, I bled on and off (mostly on) for most of my pregnancy! I have WONDERFUL friends and family who were so supportive during this time, shuttling the kids to and from school, offering playdates for Camden, making meals for us, bringing lattes and conversation to bored little me! Chris was amazing and did everything he could to keep the house running smoothly AND hold down his regular job as well. I was able to read the entire Twilight series, which, unfortunately didn’t take very long. I also watched the entire series to date of Rescue Me-four seasons! Thanksgiving was spent at home, with my awesome husband cooking an entire turkey dinner on his own! There were a few days that I was able to get off the couch, and go to Target (I think they missed me! ), but mostly I was just a lazy bum on the couch. During this time, my aunt Bev was battling her second round of cancer, and being on bedrest made it really difficult to be able to spend a lot of time with her, but I did, every chance I got. The end of January her health deteriorated to the point that her oncologist said there really wasn’t anything else they could do for her, treatment-wise. She went home with hospice coming to help. I was off bedrest for a bit, and was able to help her out a little. I am forever grateful for that. She passed away on February 2nd, 2009. On the evening of February 15th, I was back on bedrest, and was lounging on the couch, watching tv, (per usual) and suddenly felt a gush. I was sure that my water had broken! Surprisingly, I was pretty calm. Chris, on the other hand…was pretty freaked out. I was only 27 weeks along! We were able to get my aunt Margaret to come over right away to stay with Grace and Camden, and then Chris and I headed to the hospital. After an hour or so, they confirmed that my water had broken, and had started me on IV antibiotics (once your water breaks they need to prevent infection). They also gave me one of two steroid shots which helps the baby’s lungs develop if premature delivery is feared. (the other one I would get 12 hours later). The nurses were great, and told me to get comfortable, that I wasn’t going home until after the baby was born. Eventually I was moved from labor and delivery to the wing where they stick pregnant ladies who are NOT supposed to have their babies yet. (There is a whole wing for that!) I made a list and Chris brought me all my necessities (laptop included!) so that I could settle in for the long haul. Grace was pawned off on Margaret, who was able to take her to school, and Nanny, who could pick her up. Camden was lucky enough to go stay with the Janus’ who were on their mid-winter break, which just made life easier all around without having to find entertainment for him. Thank you! Anyway, life as we now knew it continued in this way for a few days, constant IV antibiotics, frequent ultrasounds to check my (amniotic) fluid level which had gone way way down, and three times a day fetal heartbeat monitoring. On Wednesday, the 18th, in the afternoon, my doctor said that my fluid level was so low that the baby would be better out than in, so he proposed that we would induce the following morning. (Oh, I should also say that my most recent ultrasound had shown that the placenta had migrated and was no longer previa, so that I was allowed to try and have a normal delivery). Chris left to go pick Grace up and was going to have dinner with her, when I, (of course!) started having contractions. When they didn’t go away I called Chris and said I thought maybe he should just come back to the hospital, which he did. The contractions weren’t showing up on the monitor when I could feel them, but then, when I didn’t feel them anymore, the monitor showed that they had started…crazy stuff! Since my doctor was planning on inducing me the next morning, there was no reason at this point to try and stop the labor, so, they moved me over to labor and delivery. Almost instantly, the contractions stopped…for real. By this time Chris was back, and we were just supposed to “hang out” and see if the contractions started up again. That’s when I went to the bathroom and started gushing blood. You know how they say that you’ll know if you are hemorrhaging? I was hemorrhaging, and it was really scary. We called my nurse, who quickly paged the doctor and then prepped me for surgery. Poor Chris was left alone in the delivery room with a set of scrubs and told to change while they rolled me to the operating room. At that point, they didn’t know if they would have time to give me a spinal block, or if I was going under general anethesia (under general, Chris would not be allowed to be there with me). The operating room was so bright and shiny and clean. There were so many people in there bustling about: my doctors (there were two who were going to do the surgery), my nurses, the anesthesiologist, the neonatologist, the NICU nurses, and who knows how many others! My modesty was completely out the window! I was still bleeding all over the place and my bare bottom was out there for what seemed like the whole world to see. Fortunately, there was time for the spinal block, so Chris was brought into the operating room and sat right next to me. Surgery began at 8:36pm and at 8:40 Mina Kathryn was born! She opened her eyes, and she even cried! The NICU team got her ventilated and gave her a shot of sufectrant to help her breathing (as was standard procedure in a preemie), and my doctors finished putting me back together. Mina was 2 lbs 6 oz and 13 1/2 inches long. They said she was a very good size for a 27 weeker, and the NICU nurses said she was feisty! (Well, duh, I AM her mother). She was doing very well initially. The very next day she was off the ventilator and on CPAP, which is essentially breathing on her own. I spent all day in the NICU, and we had some wonderful nurses. Mina was able to grasp my finger with her tiny hands, and every 4 hours I would take her temperature, change her (teeny tiny) diaper, etc. On Friday afternoon they inserted her PICC line which is kind of like an IV, but it goes to right above the main artery. This is where they can feed her, give her medicines, as well as draw blood, rather than poking her every time. Friday evening the neonatologist called my hospital room to say that she was showing signs of RDS or “preemie lung disease” which is very normal in preemies, and so they had to re-ventilate her, he made it sound like this was completely normal and expected. On Saturday morning when I arrived at the NICU the same doctor met me at the door and I knew that was not good. Throughout the night her breathing had continued to deteriorate (they had the oxygen turned all the way up to 100 from “room air” which is 21 over the course of an hour) and eventually (some 12 or so hours later) they determined that it wasn’t preemie lung disease as first suspected, but that her PICC line was flooding her chest cavity with the IV fluids rather than going into her veins where it was supposed to go. All the fluid was putting pressure on her lungs which is why she had been having such a hard time breathing. They pulled the PICC line and drained the fluid from her chest area, but at that point she did not look well. When Chris arrived from home we called Pastor Jackson and he came immediately to baptise her. On Sunday we had a different doctor who was a little less optimistic. She said that most preemies who suffered the trauma that whe went through would not still be alive. With her oxygen levels down so low for so long she may have suffered brain damage. The doctor said that we needed to see Mina becoming more responsive. Since Friday night she hadn’t been responsive at all, not even to grasp my finger. And her skin was very sallow, rather than the bright red she had been. On Monday Mina was very puffy, and not peeing at all. She had little to no responsiveness and very little muscle tone. On Tuesday morning when I arrived at the NICU I took one look at her and knew she wasn’t going to make it. I told the nurses I wanted to hold her (for the first time!) and they were very accomodating (maybe I should have been worried that they were so accomodating at this point). My friend, Lorina was there with me, until Chris and Grace arrived. Mina’s heartrate was very low and they weren’t even able to get a reading on her blood pressure. The oxygen was still turned up all the way. Our favorite doctor, Dr Golden, was back on shift that day and told us that her kidneys had shut down, and her liver and heart were suffering drastically as well. He said that if all those major systems had been damaged by the trauma on Friday night that her brain most likely had too. This was obvious to us just by her lack of responsiveness since then. He told us that the only thing keeping her alive was the ventilator. Chris’ mom brought Camden from school and we took Mina to a private room where we all got a chance to hold her and spend time together as a family of five before she passed away. I am so grateful that time. Our precious baby girl, Mina Kathryn, left us February 24th, 2009, at 2:10pm. She is now our angel in Heaven with her Nana Bev and Uncle Pete. We feel so blessed to have known her, even for a little while. 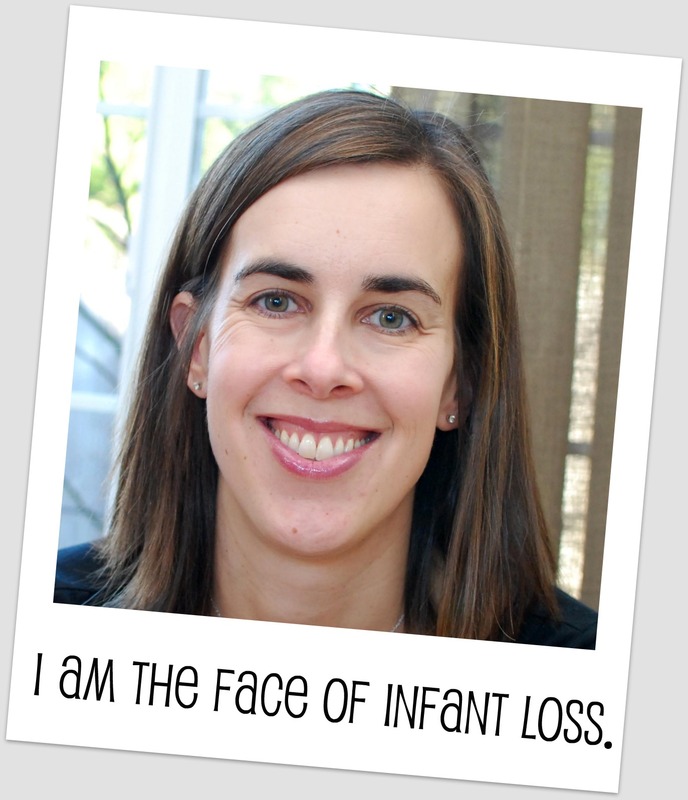 Your story is very similar to mine, down to the week my son was born, the NICU things, etc. Big hugs. First I want to tell you how amazing you are to be able to be happy for the time you had with her. Second I strive to be so strong. Down to drugs you and her were given to the words you use in your story it’s so similar to ours. Everyday I miss my son and the idea of my third child! Eli Jack Schwartz was born June 26,2011-June 29, 2011 at 27weeks. 1lb. 12oz. and 15 inches long. He as well died in my arms. I wish we would have thought quick enough to baptize him. I am trying to start my healing process and hearing your story helps me know that things just happen.